Spanish giants Real Madrid are having a rethink about their plan to buy Eden Hazard from Chelsea due to his recent drop in form. The Belgium international has been termed as Los Bloncos top target in the coming transfer window as Real are set to overhaul their squad in the summer. President Florentino Perez is keen on ushering in a new era of Galacticos, with the 27-year-old looking to be the face of the new squad. The former Lille midfielder is yet to commit his future to Chelsea and is waiting to see if the Blues would finish in the Premier League top four. The London club are struggling this season and after their loss to Tottenham they have now slipped eight points further from the Champions League spot. The Premier League defending champions have won just five games out of 19, and Hazard’s form for Antonio Conte’s side has tailed off. And as a result of Hazard’s dwindling performance, the Madrid outfit have not kept mum concerning the transfer of the talisman as expected. According to the London Evening Standard, the Bernabeu club are yet to make any form of enquiry for Hazard as his representatives are yet to seek a move out. The Belgian captain has already stated that he will sort his future out after the Russia 2018 World Cup this summer. He said: “I am going to play the World Cup and then I will leave on holiday. Then we will see what happens next. Hazard wants a strong showing in this year’s World Cup to strengthen his bargaining position but Chelsea had hoped to settle the deal before the end of the season. Chelsea play West Ham in their next league match and will also face Southampton in the FA Cup semi finals at the Wembley stadium. 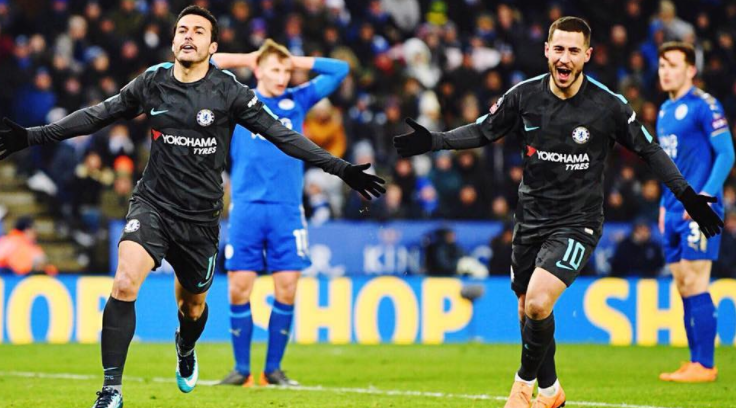 0 Response to "Real Madrid make big decision on Hazard to the delight of Chelsea"